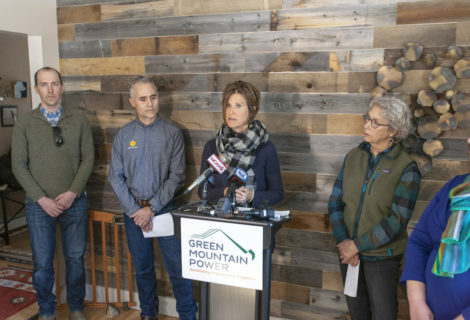 Paul and Brenda Leible liked the idea of solar but didn’t know much about it. 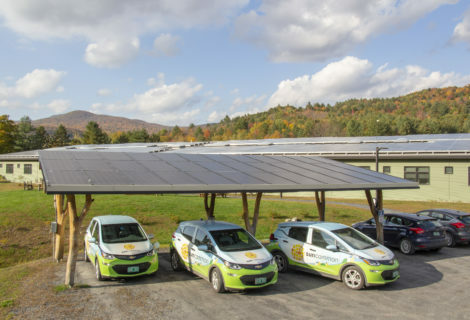 They connected with SunCommon, got up to speed quickly, and had both a ground solar system and a heat pump installed. 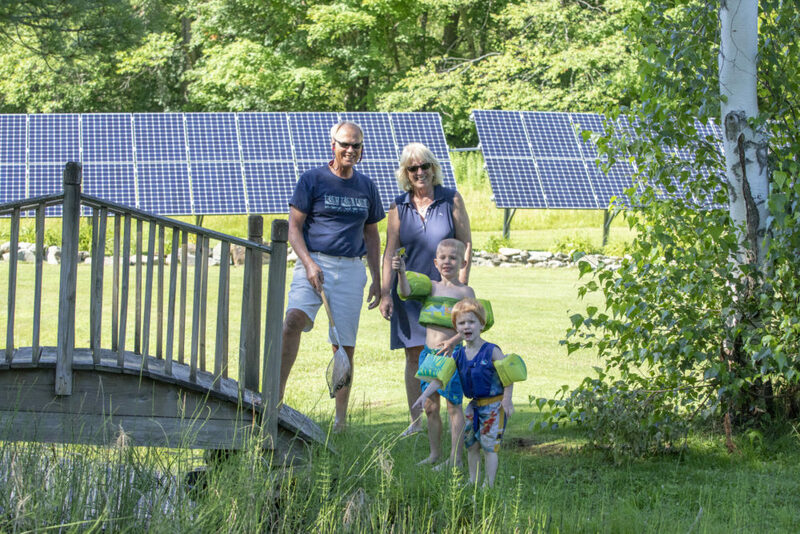 While their solar production creates credits on their utility bill, they can relax and enjoy their grandchildren. And their heat pump, which keeps the house warm in winter, also offers cooling in the summer. That’s comfort all year long. 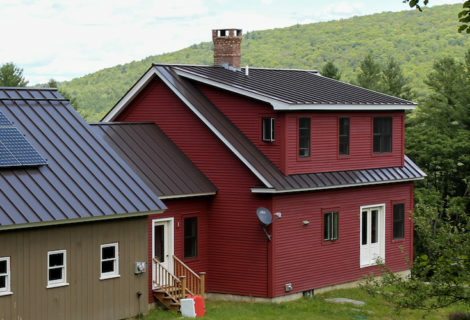 Since they reduced electric bill by going solar and their heating costs by switching to heat pumps, the Leibles were able to pay off their system in about three years! Wow. 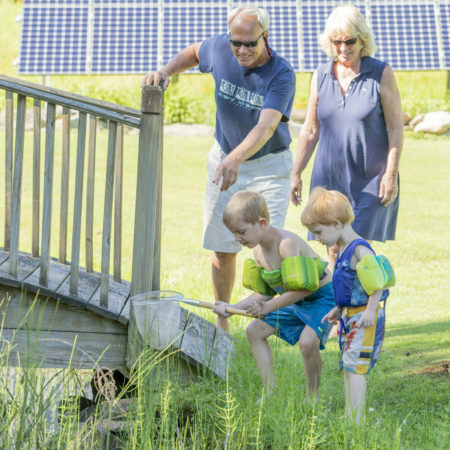 The Leible’s system is 11.77 kW (that’s 36 panels)! SunCommon did a great job, everything was coordinated well. With heat pumps, we were able to reduce our overall heating costs so the payback was probably about three years. We’re about a month shy of a full three years and it’s been great!